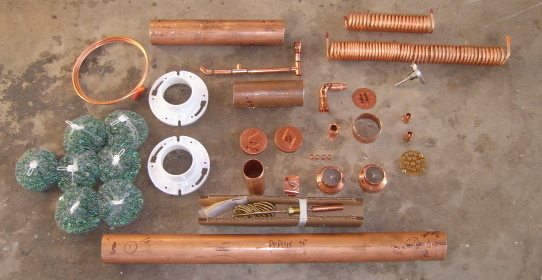 Kit of all large and difficult to find piping and fittings, all cut to the right lenghts. You will note that the bottom endcap is even cut to the right 3/4 '' lenght. 3 ) Industrial quality thermometer.